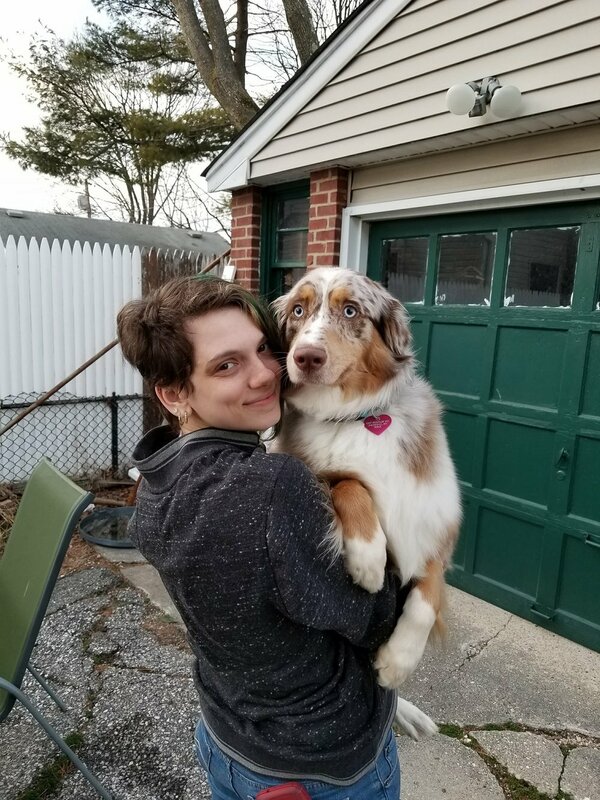 "Me with my pup, Pandora"
I want give a small introduction of myself. My name is Kara and I am the owner of Pandora's Pet Parlor, inc and sole Pet Stylist. I've been in the grooming industry for over 8 years now and I am happy to start on my journey with opening my own shop. I'm an extremely passionate person when it comes to my job and I truly love what I do and not many people can say that. Down below, I have left a cute picture of my pup. Here is Pandora all nice and cuddled in her bed.